Twelve years after his feature debut Brother Tied, writer-director Derek Cianfrance re-emerged with 2010's sublime anti-romance Blue Valentine, following it with the visceral The Place Beyond the Pines. While those two may have established him as a filmmaker of raw talent, his fourth, and biggest, film is a more disappointingly conventional affair. An adaptation of the novel by ML Stedman, it tells of a lighthouse keeper and his wife living on a remote island off the coast of Western Australia in the aftermath of World War I. When a baby and a dead man wash ashore in a rowboat, they decide to raise the infant as their own. It's weighty, awards-seeking stuff but, with both his laboriously worthy screenplay and overwrought direction, Cianfrance seems to have buckled under the heft of the material. While both Michael Fassbender and Alicia Vikander are solid as the island-dwelling couple – his Tom a repressed former soldier clearly suffering from PTSD, her Isabel a life-affirming free spirit who opens his heart – and Rachel Weisz is excellent as a bereaved mother adrift in her grief, the film is plodding in execution and overbearingly emotionally manipulative in tone. When the camera of cinematographer Adam Arkapaw (Macbeth) initially soars over the stunning scenery, there is a sense of optimism – both for Tom and Isabel's romance, and the dramatic possibility of such an intriguing premise. But the focus soon shrinks to close-ups of tear-filled eyes, wistful stares and wracking sobs as the story becomes one of intimate trauma, taking in loneliness, depression and miscarriage before it even gets to the couple's life-changing decision to keep the child. 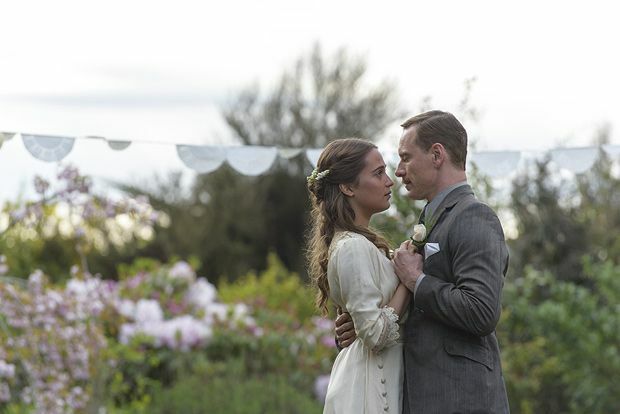 The relentless melodrama drowns out the intrigue of the ethical dilemma, which should have formed the beating heart of the story – whether Tom and Isabel are right to keep the child – and, despite the talent involved, The Light Between Oceans is mawkish when it should be moving. General release from Tue 1 Nov.